Barleycorn Removals Limited - Removals/Storage based in Wallingford, Oxfordshire. Invoice history based on 286 reviews. Barleycorn Removals & Storage offer high quality house and business moving services in Reading, Wallingford, Oxford and the surrounding area. We are a fully licensed & insured international removals company offering moves to France, Spain and throughout Europe. Our staff are trained to provide the best service with some of the best protective equipment so that your goods and property are not damaged. We provide packing services, house moving services, grand piano relocation and fine art relocations in our specially designed, temperature controlled, high security, fine art pantechnicon. We also offer a complete business relocation service for small to medium size businesses (up to 150 desks) in London, Reading, Oxford Didcot, Wallingford and surrounding areas. All of our staff are experienced, trained professionals and take pride in providing a quality service. 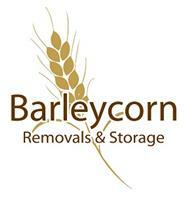 Barleycorn Removals & Storage are recommended by customers and estate agents alike.